Unafraid to struggle with hideous tenacity. This week I want to talk about the rhetorical situation and address “The Myth of Direct Discourse” once again, which was previously mentioned in “Of Words and Wizards”. I feel like the best example I could use to demonstrate direct discourse, or rather, the effects that a lack of direct discourse can incur, occurs in the popular Disney film, Frozen. This almost goes without saying, but SPOILERS. Not that there should be anyone who hasn’t watched Frozen. Well, better safe than sorry. This movie was what first came to my mind when I read the essay, “The Myth of Direct Discourse”, because there’s just so much that connects between Frozen and the essay, namely character relationships. Anna, for one, is the polar opposite of the cool, calm and collected fictional person that Coffeen, the author of the essay, describes. Now that’s not a bad thing, in fact, Anna is awkward in the most adorable and lovable way, a likely result of the many years she spent locked up in the castle after her parents died and her sister, Elsa, started ignoring her. Oh Anna, how you flirt without even noticing. This may be a blunt way to put it, but essentially, Frozen boils down to a series of misunderstandings blown a bit out of proportion. Elsa’s born with powers over ice because of reasons vaguely hinted at in the very first song (the name escapes me) and everything is just peachy until Anna gets hit by one of Elsa’s blasts of ice. The royal couple, alarmed and concerned, take Anna to the Rock Trolls, who they believe might be able to cure Anna; sure enough, the Rock Troll elder is able to cure Anna, but he tells the royal family that it would be best for Anna to forget about Elsa’s powers and lightly warns Elsa that she must be confident in her powers. Any wavering or emotional imbalance on Elsa’s part could be disastrous, as seen later in the movie. Elsa hits Anna with a blast of ice when they were playing with ice in the castle. The king and queen take this warning to the extreme: they try to block out the world outside of the castle and keep the two princesses in the castle, separated from each other. Anna tries to communicate with Elsa countless times (refer to song “Do You Want to Build a Snowman?”), but over the years, she slowly accepts the fact that Elsa will not respond, so she stops trying to talk to Elsa; even when their parents die at sea, Anna and Elsa still do not talk to each other, though both are in serious need of each other’s company and comfort. The disconnect between the two sisters is key in the story, but it could have been easily resolved if Elsa had just admitted that she really wanted to play with Anna but was afraid of what her powers might do; however, this is a Disney movie, so naturally, things just happen according to worse case scenario. Anna grieving on one side of the door. Elsa suffering alone on the other side. After revealing her powers in an impassioned moment, Elsa runs away, but Anna chases her to try and convince her to come back. Elsa tries to get Anna to go back to the castle and be happy, believing that everyone is happy without her. Anna tells Elsa that while she ran away, she cast the kingdom into eternal winter; overwhelmed by the heavy consequences of her outburst, Elsa accidentally strikes Anna in the heart with ice. Anna thinks that Elsa is capable of controlling her powers and sees this as no big deal. Elsa, on the other hand, knows that her powers are beyond her control and is dizzy with fright at the thought of ruining her sister’s happiness, hurting her sister, essentially murdering the kingdom and finding no solace from her accursed powers. 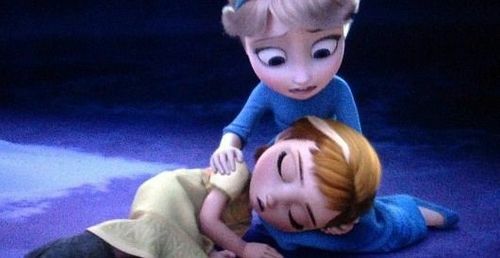 Again, the disconnect between the two sisters crafts a big plot shift as Anna is forced to abandon the idea of getting Elsa return and instead, look for a cure for her freezing heart. Anna’s heart is frozen accidentally by Elsa. This whole number was a blast right in the feels. Another prominent character relationship that stems from ambiguous discourse is that between Anna and Hans. 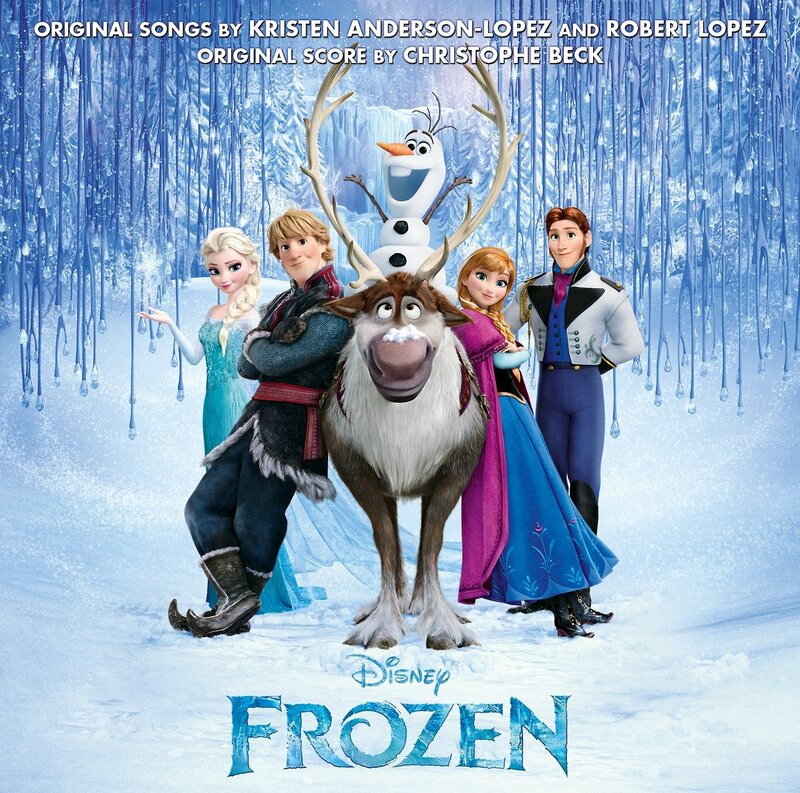 Hans is an attractive prince from the Southern Isles, who woos Anna on Elsa’s coronation day; in a whirlwind romance lasting exactly a day and one song (“Love is an Open Door”), they ask Elsa if they can get married, which prompts the emotional response that triggers Elsa’s escape from the kingdom’s walls. Little do Disney fans know that Hans is not the amiable prince that is totally in love with Anna; Hans is attempting to take Arendelle, the kingdom, for himself because he, as the 13th child of the Southern Isles, has an nearly negligible claim to the throne. There are various hints of his deceit but never states his objectives. For Hans, indirect discourse is a good thing: if he told Anna he just wanted the kingdom, she probably would not have fallen in love with him. Instead, through conniving and plotting, he is able to take control of Arendelle for a short period of time. However, one might wonder, like I did, if Hans ever loved Anna. I feel that if Hans did love Anna to the point where he could kind of overlook his plans to overthrow the two sisters, Anna and Hans could have made a relationship work. Of course, you would have to account for Kristoff somewhere, but I felt like Anna and Hans was such a good match. It was devastating for me to find out that Hans’ love was not genuine; part of me wants to believe that Hans had been in love with Anna, but upon seeing her enjoy the company of Kristoff much more than his time with her, he hardened his heart and resolved to carry out his plan. Anyhow, I digress. As for the actual SOAPSTone part of Frozen, the film does a good job of muddling up the speaker, audience and subject in many instances. For example, in the reprise of “For the First Time in Forever,” Elsa seems to be simply expressing her distress at the mess she has made of Arendelle, but she could also be expressing her failure to protect Anna from herself (referring to Elsa) and failure to meet her parents’ expectations. Her parents, who were so patient with Elsa’s powers, trusted her to keep her sister safe and died shipwrecked, would be so disappointed in Elsa if they saw her then, cowering in fear of her own powers and refusing to deal with problems at hand and forcing her younger sister to deal with the kingdom alone. Despite her suave exterior, Elsa is actually as insecure and unsure of herself as Anna might seem on the outside. In contrast, Anna is always running about frantically and just frazzled in general. However, when it comes to facing challenges and solving problems, Anna has a resolve unrivaled by any character in the movie except perhaps Hans’ motivation to take the throne of Arendelle. The way Anna speaks is probably as close as direct discourse can get; she often expresses her thoughts with little to no thought about the effect they may have. Anna may get her thoughts across, but she doesn’t really have a regard for how her audience will take to her words and or actions, again, this may be the result of not having very many opportunities for conversation save the few moments where she may have needed to address her servants and before they died, her parents. With Anna subject and purpose are clear, but her lack of sensitivity, most likely due to inexperience, has disadvantages. Tune in next time for probably more Disney; sorry for the late update!